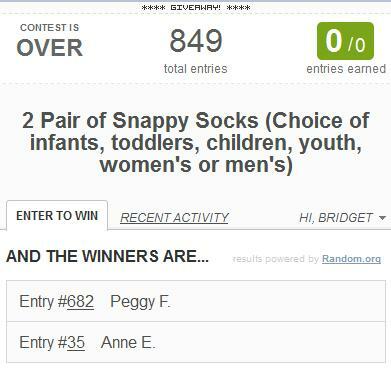 Being Frugal and Making It Work: Giveaway Winner Announcements: Snappy Socks & Neater Feeder! Giveaway Winner Announcements: Snappy Socks & Neater Feeder! Are you enjoying your first day of daylight savings time? To be completely honest, the time change (spring and fall) always messes me up and I wish it could just stay the same year round! 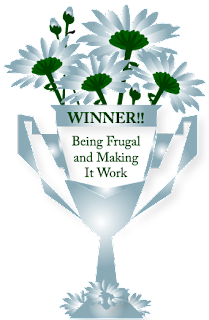 CONGRATULATIONS to Peggy, Anne and Kat! 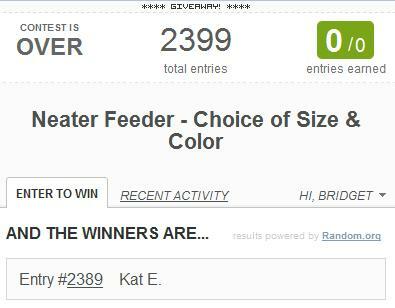 I would also like to thank Snappy Socks & Neater Feeder for making these giveaways possible for my readers. That's awesome. So glad you had so many entries for the socks!